Pushing along and pressing the light-up screen button trigger reactions and phrases. Interacts with other Toot-Toot Drivers play sets. Let's go and fight the fire! 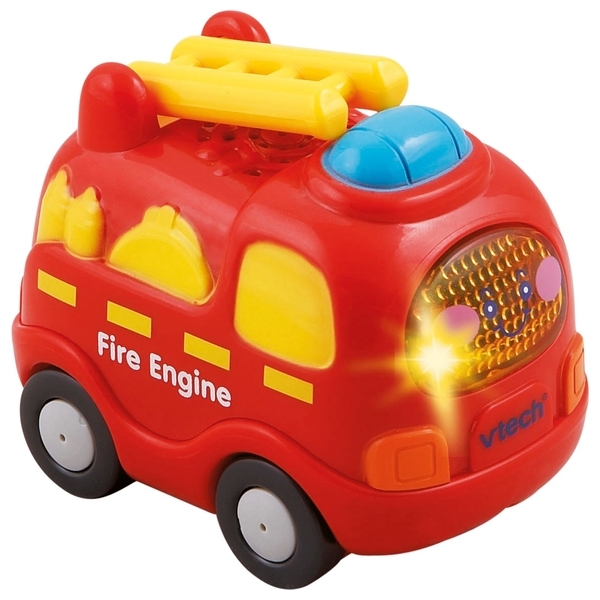 Cute role-play fire engine features lots of encouraging phrases and realistic sound effects.